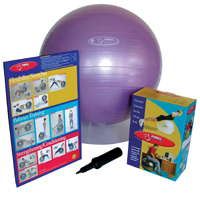 The world's best burst-resistant exercise ball is the perfect solution for both professional and home use. 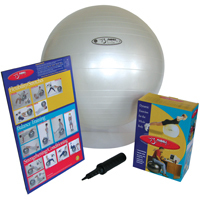 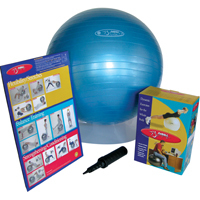 Trusted by physical therapists and personal trainers throughout the U.S., every ability level can benefit from the stability challenge the FitBALL exercise ball offers for flexibility, strength, and aerobic training. 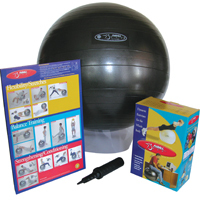 Absolutely round, with a weight bearing capacity of 2,250 lbs., the FitBALL exercise ball is made of a unique latex-free material designed to deflate slowly if punctured. 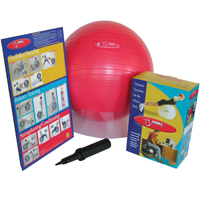 You'll feel the difference immediately when you sit on our firm, yet flexible FitBALL exercise ball.